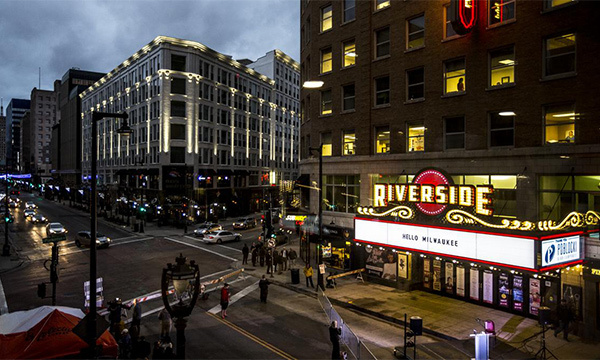 Named for its location along the Milwaukee River, The Riverside is one of the most opulent of Milwaukee’s theaters, welcoming high caliber artists, orchestral performances and quality entertainment of all types. The largest rental space available, the Riverside Theater provides an elegant backdrop reflective of the French baroque style it boasted as a presentation house for vaudeville and film in the late 1920's. 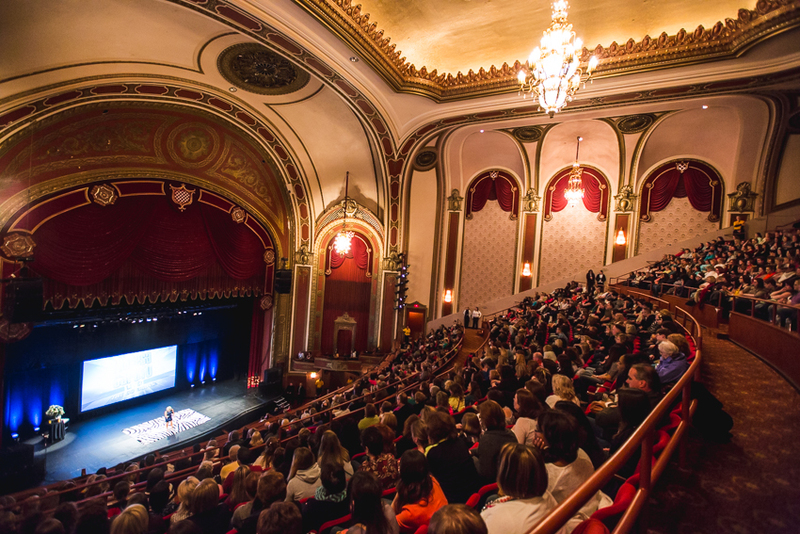 Host a company meeting on the same stage that once hosted Neil Young, or a private dinner backstage where Aretha Franklin stood before a show.